How Do You Save Your Billable Time? 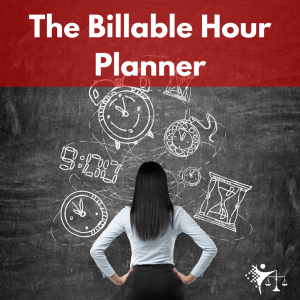 My fellow litigators: how do you save your billable time? Throughout the day, I have so many potential distractions lurking around my work desk. Social media websites and apps on my phone, the temptation to look up sports experts’ reactions to the Detroit Lions’ chances of winning a playoff game (Lions fans: we’ve been here before. The chances are always slim yet our hope springs eternal), and wrestling predictions and rumors. One way that I keep myself focused is using an hourglass timer. I tell myself that when the sand is falling, there are no distractions. I put my phone behind it, so if I compulsively reach for it when I should be working, I immediately tell myself that whatever is on my phone can wait. If I have the urge to look at sports stats, I tell myself that they will still be there when I finish what I am working on. If I start to wonder if there are any new predictions online about the Undertaker entering the Royal Rumble, I figure I’ll see it when it happens and that I don’t really like wrestling spoilers anyway. By resisting the urge to be distracted, you are saving a lot of billable time. Additionally, you would be surprised at how much more productive you are when you mindfully resist distractions throughout the day. How do you resist distraction and save your billable time? Learn From Each Loss. Remain Humble With Every Win. Young Lawyers: Stop Under Billing!